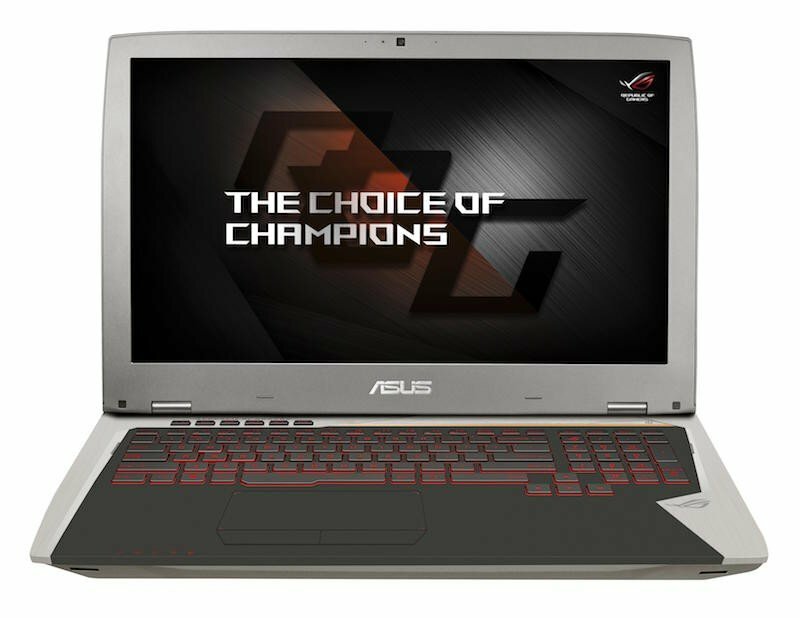 Asus designs and manufacturers powerful laptops for gamers. The newly announced Asus ROG G701VI is no different. It’s a 17.3-inch laptop with the latest hardware that’s optimised for VR headsets and games. Asus markets the Asus ROG G701VI laptop as the world’s first with wide-angle 120 GHz G-Sync display. The laptop’s gaming experience is powered by the new NVidia GeForce GTX 1080 graphics card and a 1,920 x 1,080 G-Sync display. This capable hardware duo prevents screen tearing and flicker that gamers detest so much. The capabilities can easily be extended at home by utilising a triple-display setup using Trinity Display Technology. In this setup, the connectors from the three ports (HDMI 2.0, USB 3.1 Type-C and mini-Display) connects the laptop to the different displays. A speedy Intel Core i7-6820HK processor ensures speedy processing. Overclocking is used to further boost the performance of the processor. The chassis of ROG G701VI only measures 32.5 mm and is thinner than its predecessor ROG G752. One of the main selling points is the VR-compatibility with popular VR headsets like HTC Vive and Oculus Rift. Powerful gaming hardware doesn’t come cheap. Indeed, the 32 GB model XB72K costs NZ$5,020 inclusive of GST. The 64 GB model costs an additional $300.